Versatile and powerful, our Accident Free 2015 Dodge Journey SXT AWD in Pitch Black Clearcoat makes a great addition to your family. Powered by a 3.6 Liter Pentastar V6 that offers 283hp while tethered to a 6 Speed Automatic transmission. 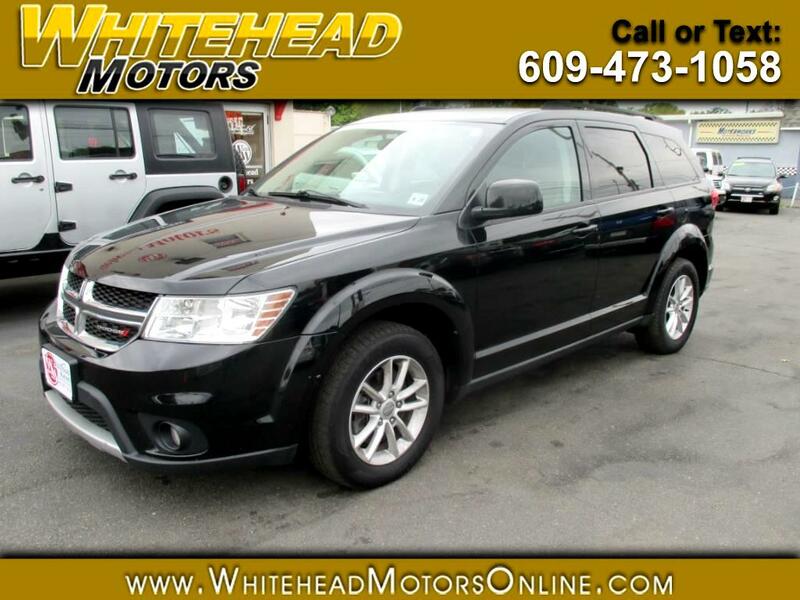 This efficient All Wheel Drive team rewards you with a smooth ride and excellent maneuverability as well as 25mpg. Plus, with the added confidence of All Wheel Drive, you'll be sure-footed no matter what Mother Nature has in store! Roof rails, fog lamps, dual bright-tip exhaust, rear lip spoiler, alloy wheels and the distinctive ring of fire LED tail lights to accent the bold muscular exterior. Inside our SXT, space is abundant in the 7 passenger cabin featuring premium soft-touch materials. You'll enjoy heated mirrors that stay free of frost and convenient keyless entry, push-button start, power accessories, and deep tinted glass. A Uconnect touchscreen interface and steering-wheel-mounted audio and cruise controls keep you focused on the task at hand as you and your passengers enjoy a stellar sound system. With cavernous cargo space, you can pack everyone up and drive off into the sunset onto your next adventure. Packed with advanced technology from Dodge help protect all occupants, our Journey acts as your family's bodyguard. Life is a Journey, not a destination. So get behind the wheel and enjoy the ride! Print this page and call us Now... We Know You Will Enjoy Your Test Drive Towards Ownership! Get Approved In Minutes at Whitehead Motors. We Make Car Buying Easy.